W. W. Norton & Company, 9780393609479, 112pp. The 52 micro-memoirs in genre-defying Heating & Cooling offer bright glimpses into a richly lived life, combining the compression of poetry with the truth-telling of nonfiction into one heartfelt, celebratory book. Ranging from childhood recollections to quirky cultural observations, these micro-memoirs build on one another to arrive at a portrait of Beth Ann Fennelly as a wife, mother, writer, and deeply original observer of life's challenges and joys. Some pieces are wistful, some wry, and many reveal the humor buried in our everyday interactions. 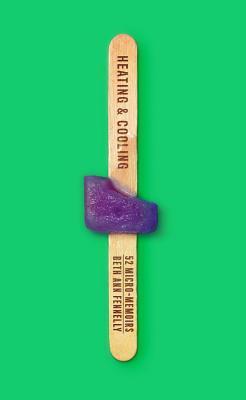 Heating & Cooling: 52 Micro-Memoirs shapes a life from unexpectedly illuminating moments, and awakens us to these moments as they appear in the margins of our lives.